Earlene Rae Duncan, age 78, of Libertytown, died unexpectedly Sunday, November 25, 2018 at Frederick Memorial Hospital. Born August 12, 1940 in Longview, Washington, she was the daughter of the late Herschel and Gwen Fowler Atwood. She was the wife of William Daniel Duncan, her husband of 34 years. Earlene was a registered nurse working in public health. She received her master’s degree in sensory impairment from Western Maryland College and served as secretary of the Metropolitan Washington Association for Deaf/Blind. She was the founder and director of “On Our Own of Frederick”, a mental health advocacy, and formerly served as a member of several boards with mental health associations. 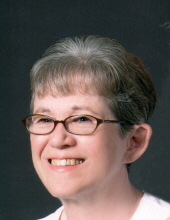 Earlene attended the Good Shepherd Lutheran Church of Frederick. In addition to her husband she is survived by children, Raymond Kiddy and wife Sarah of Sunnyvale, CA, Kevin Kiddy and wife Kristin of Ormond Beach, FL, Melanie Shelton and husband Jim of Cumberland, Mark Duncan and wife Melinda and Matt Duncan and wife Karen, all of Brunswick, Paul Duncan and wife Dawn of Chestertown and Alecia Biddinger and husband Howard of Frederick; 21 grandchildren, 16 great grandchildren; a sister, Patricia Weber of Arkadelphia, AR, half-sisters, Lori Wend of Kelso, WA and Sandy Gottfried of Phoenix, AZ; half-brother, Harold Atwood of Phoenix and numerous nieces and nephews. She was predeceased by a sister, Linda Goodwin. A funeral service will be held at 10:00 a.m. Friday, November 30 at Hartzler Funeral Home-Libertytown, 11802 Liberty Rd., Frederick, with Pastor Ed Heim, of Good Shepherd Lutheran Church, officiating. Interment will follow in Resthaven Memorial Gardens, Frederick. The family will receive friends at the funeral home 6-8 p.m. Thursday, November 29. Memorial contributions may be made to “On Our Own of Frederick”, 331 W. Patrick St., Frederick, MD 21701. To send flowers or a remembrance gift to the family of Earlene Rae Duncan, please visit our Tribute Store. The family extends an invitation to the fellowship luncheon 12:00 pm, Friday November 30, at Good Shepherd Lutheran Church, 1415 West 7th Street , Frederick MD. "Email Address" would like to share the life celebration of Earlene Rae Duncan. Click on the "link" to go to share a favorite memory or leave a condolence message for the family.